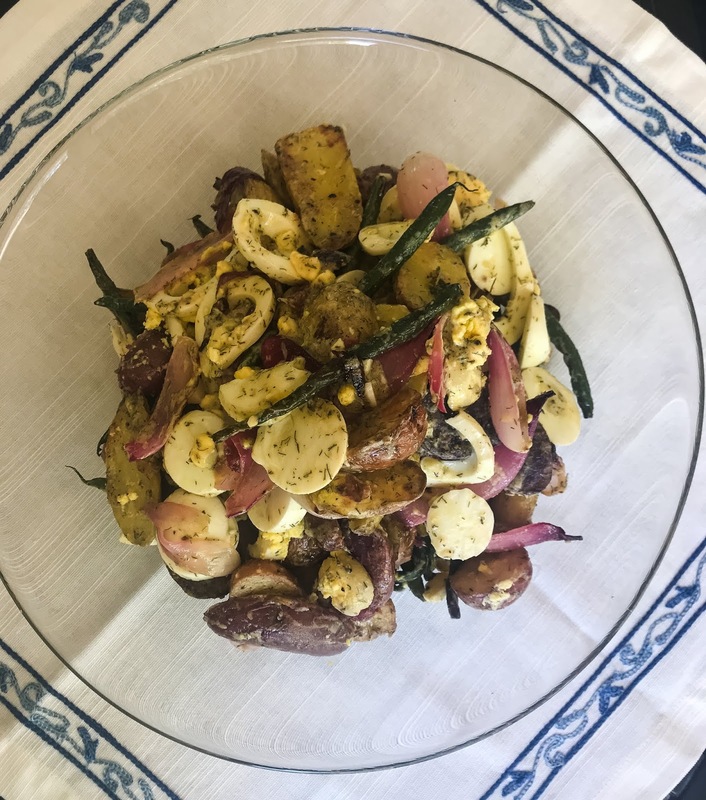 This is quite possibly my new favorite potato salad–crispy grilled potatoes and green beans, chopped eggs, dill, and a fresh garlic vinaigrette. Just about every ingredient that I love. 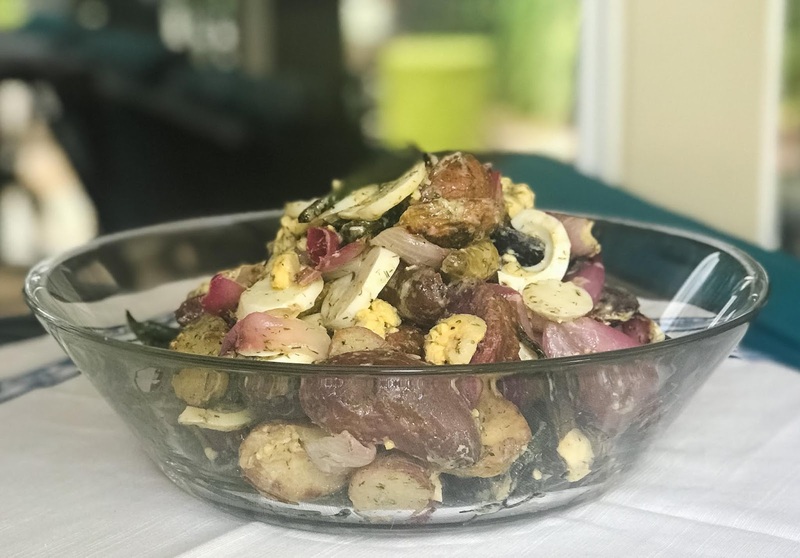 All together they make a fantastic potato salad (if I do say so myself). 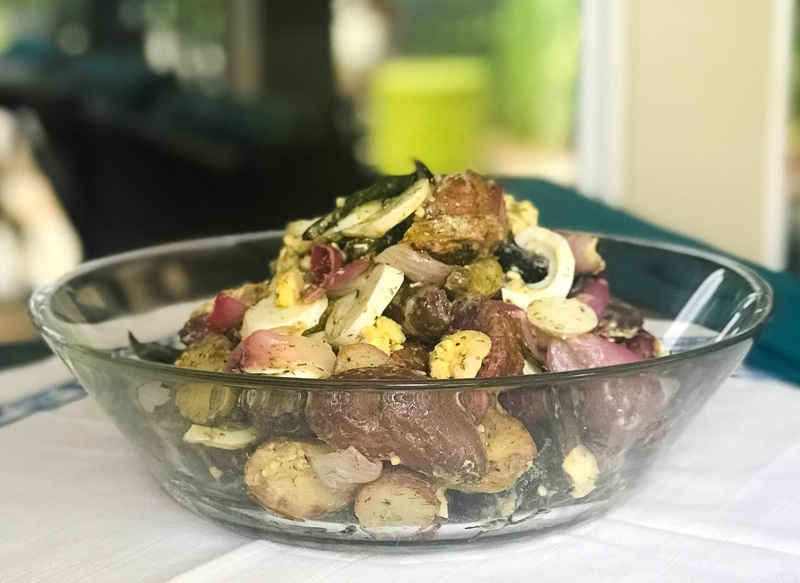 My husband had requested potato salad on the 4th of July. I usually make my go-to recipe, but this year I decided on a lighter, mayo-free version. 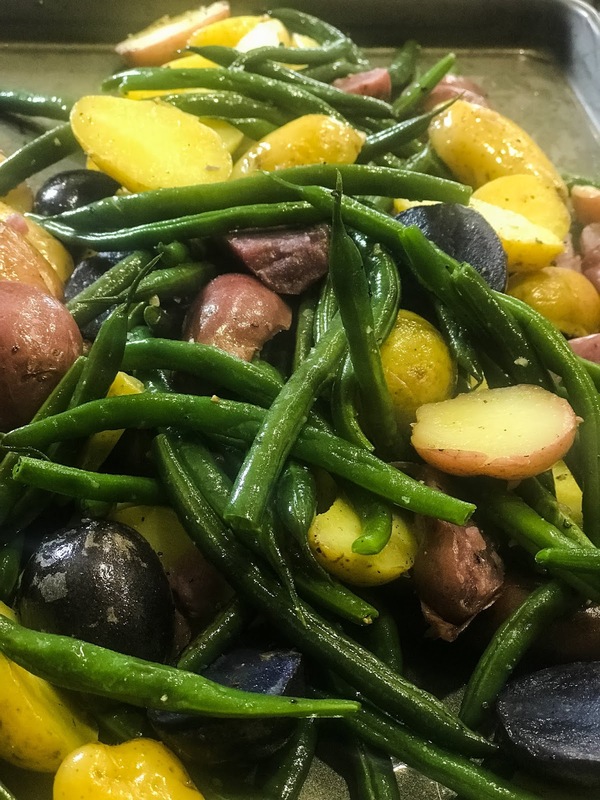 I also wanted to add green beans to the mix instead of making a separate vegetable dish. Bring a large pot of water to boil and parboil the potatoes for approximately 8 minutes until starting to get fork tender. Parboil the green beans for approximately 5 minutes until starting to soften. Hard boil the eggs for 10 minutes. Meanwhile, heat the grill to 450 degrees. 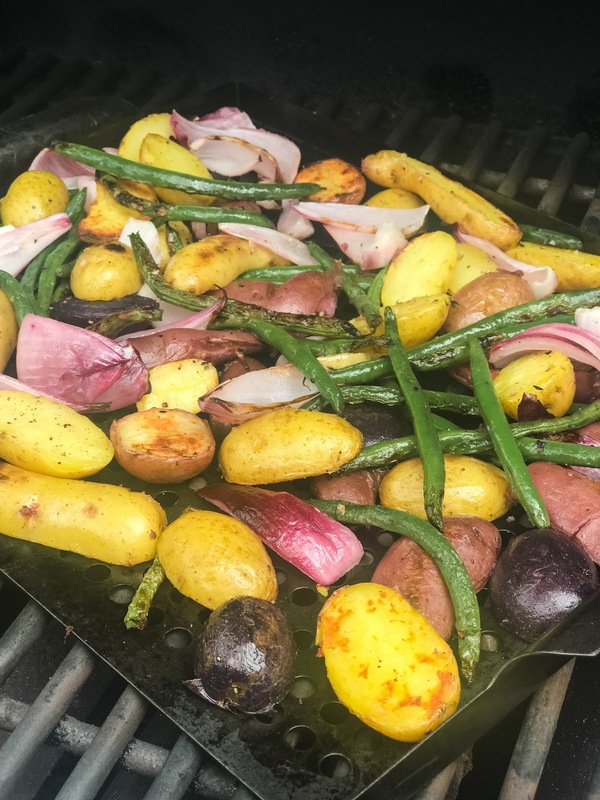 Slice the potatoes in half and place on a grilling pan. Add the green beans and the red onion. Toss the vegetables with 2 tablespoons of olive oil, salt, and pepper. Spread the vegetables out evenly on the pan and place on the grill. Grill at 450 degrees for approximately 12-15 minutes until all of the vegetables start to brown and become crispy. While the vegetables are cooking, slice the eggs and make the vinaigrette. In a small bowl combine the vinegar, oil, garlic, dill, salt, and pepper. Whish to combine. Place the vegetables in a large bowl and add the vinaigrette. Stir gently to combine. Serve warm.